Data-Pixel SAS offers systems for the inspection of optical fibers. The French company was founded in 2001 and continues to grow – due, in particular, to the increased demands on measurement technology for optical fibers in the telecom industry. With its DAISI interferometer, Data-Pixel has set the industry standard for the interferometric surface measurement of single-fiber and multi-fiber connectors. 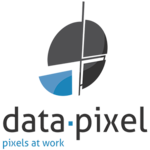 Data-Pixel is active in more than 25 countries around the word and has built a corresponding distribution network. LASER COMPONENTS offers these interferometers and a microscope for the evaluation of ferrules and fibers as well as a software which, in combination with the microscope, allows real-time adjustment of PM fibers.